Firstly, there was only one administrative role for group – administrator. Their amount may differ and all the administrators can manage and control the group. But it would be fair and necessary to add one with special privileges – for the one, who was in the very beginning – for a creator of the group. Access to ‘Privacy’ tab (you may find it between Main and Tags tabs in Settings menu). Members viewing – for group members only, for administrators only, or for all users. Invitations – whether they may be sent from all group members, or only from administrators. 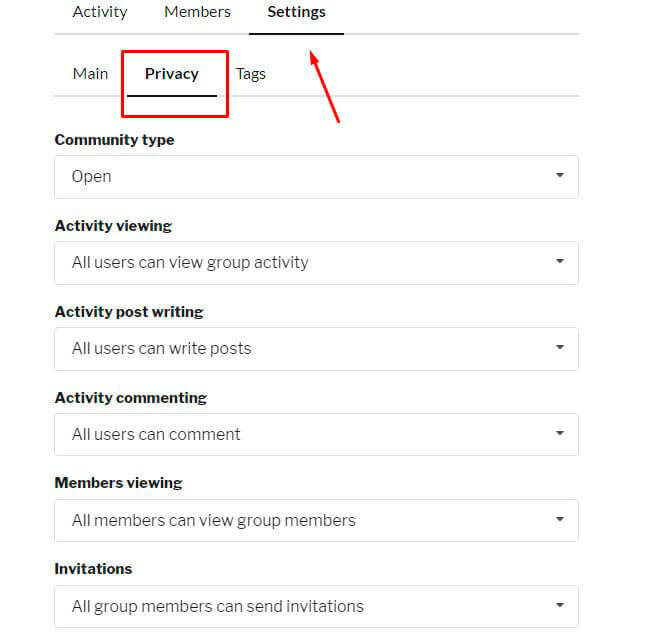 We hope this feature will be useful for your users to manage groups in peace and enjoy being a part of community with soulmates!